Put all the vegetable and Arhar dal in cooker with salt, turmeric powder and 6 cups of water. Cook them for 15-20 minutes. Now heat the oil in panand add rai seed, curry leaves, red chilly powder, sambhar masala, green chilly imli pulp and mix in dal. 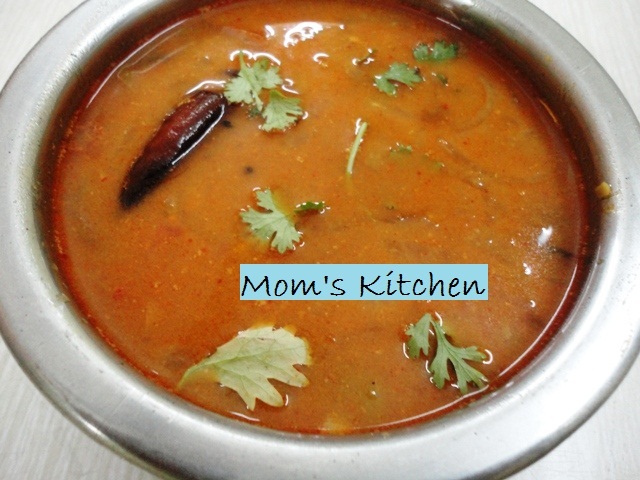 Now sambhar is ready, serve it with rice or idli or vada.